Late April marks the twentieth anniversary of one of the more appalling displays of mass murder of Hutu civilians by Paul Kagame’s military: the notorious Kibeho slaughter in which thousands of displaced Hutus were gunned down and trampled in front of UN peacekeepers and human rights observers. Leaked documents from the United Nations, along with testimony collected by this journalist, shed new light on how these chilling operations were planned and put into action against a backdrop of summary executions throughout the area. The confidential documents reveal testimony from Tutsi soldiers implicated in tactical, ethnically-motivated crimes. They also provide evidence that the Rwandan Patriotic Army (RPA) rounded up and killed survivors of Kibeho, wherever it could. Just what was going on in post-gencocide Gikongoro, home to the sprawling Kibeho refugee camp before the massacre? In the aftermath of the 1994 Rwandan genocide, in which Hutu extremists targeted hundreds of thousands of Tutsis for extermination, the southern prefecture of Gikongoro became a volatile place where the Rwandan military meted out a plethora of crimes against Hutu civilians. According to a document compiled in 2003 by the Special Investigations Unit of the International Criminal Tribunal for Rwanda (ICTR), many people were brought to the Gikongoro military camp between November 1994 and May 1995, and promptly executed. Their bodies were later buried in the nearby Nyungwe Forest. A second UN document revealed detailed testimony from an RPA intelligence officer implicated in killing Hutus. “We were there to clean up. People were arrested and placed in jails at the Gikongoro military camp where they were killed with ropes, knives, hammers and traditional weapons, and suffocated with plastic bags,” the officer testified. The victims were then transported in trucks, between 60 to 70 bodies at a time, to Nyungwe and buried in mass graves, according to the document. The commander of ongoing ‘cleaning operations’—prior to the Kibeho attack—was Emmanuel Gasana, currently Rwanda’s inspector general of police. The overall commander in charge of Gikongoro prefecture was Patrick Nyamvumba, currently Rwanda’s Defense Chief who served as commander of the UN peacekeeping force in Sudan from 2009 to 2013. The Special Investigations Unit of the ICTR conducted clandestine investigations into atrocities committed by the RPA in 1994 with a view to indicting some of Kagame’s senior commanders for crimes against humanity and other atrocities. 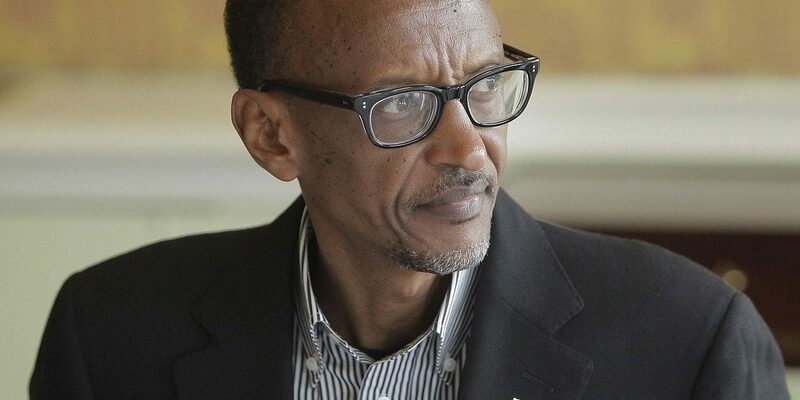 The ICTR investigative team, which included a crime analyst and other senior investigators, encountered political pushback and complained of security risks their witnesses faced while testifying against Kagame’s powerful, Western-backed government. The investigators also collected testimony of RPF crimes committed before and after 1994, in addition to obtaining confessions relating to the seminal event leading to the genocide—the April 6th downing of the plane carrying the presidents of Rwanda and Burundi, Juvenal Habyarimana and Cyprien Ntaryamira. Former ICTR officials say the removal of the court’s independent-minded prosecutor, Carla Del Ponte, effectively quashed any possibility of indictments being issued against senior members of the RPA. In 2003, at the behest of the United States and Britain, Del Ponte was replaced by the more politically-malleable pro-Kagame prosecutor, Hassan Jallow. Details from the leaked documents relating specifically to Gikongoro show that at the end of 1994, at a refugee camp in front of a post manned by the United Nations peacekeeping mission, UNAMIR, the RPA massacred “approximately 3,000 women, children and men.” The camp was located in Gikongoro between Kibuye and Gitarama. In Kibeho itself – home to some 100,000 Hutus living in blue tarpaulin hovels that dotted the green hillsides over a nine-kilometre square area – the security situation was explosive. A platoon of 30 RPA soldiers killed 100 civilians there in December 1994. “Their bodies were put in a mass grave and a basketball field was built over it,” the investigators found. In April 1995, preparations were underway for the destruction of Kibeho, according to a third ICTR document citing testimony from an intelligence officer that attended preparatory meetings in neighboring Butare. The meetings were convened by Colonel Jack Nziza, the officer claimed. Nziza was and remains a feared figure known as ‘the enforcer’ of special operations for Rwanda’s Directorate of Military Intelligence (DMI). The RPA unleashed heavy fire on the camps; ‘there were a lot of victims.” Some were taken and burned in Butare. Some of the victims’ bones were put in bags brought by Colonel Jackson Rwahama—a notoriously cruel commander who used to work for Idi Amin in Uganda. The bags were buried in Kabutare, Save, in Senkoko in Ngoma, according to testimony. Another officer involved in operations targeting Hutus admitted he participated in the ‘Kibeho massacre.’ He said the attack was coordinated and led by brigade commander Colonel Fred Ibingira. Other military commanders responsible included Major Philbert Rwigamba, Patrick Nyamvumba, Emmnuel Gasana and Dan Munyuza, currently Rwanda’s deputy inspector general of police. The officer claimed that Kayumba Nyamwasa, then deputy head of the Gendarmerie, along with Jackson Rwahama and Jack Nziza joined them two days into the attacks. The officer described a system in which members of the gendarmerie and DMI, along with the military police acted contiguously and symbiotically. He said in theory they were separate entities, but in reality it was different. “The gendarmerie, DMI, external intelligence and military police were really not different in essence. In many circumstances, the same people operated in all of them,” he added, citing his own personal experience. One of the UN documents reveals testimony of how Kibeho survivors were transported to Camp Huye, having been promised protection by the RPA. Instead these Hutus were put to death. “For three days, for 24 hours straight, we killed Kibeho survivors with ropes, hammers, and plastic bags,” the former DMI member said. An estimated 60 soldiers were stationed at Nyongwe taking bodies off trucks, digging graves and burying corpses, he added. He also went on to explain that from May 1993 until May 1995 while he was a member of DMI, an estimated 100,000 Hutus were killed in areas he was deployed. “The aim was to kill Hutus…men, women and children. We killed many people, perhaps 100,000. Our group killed at least 150 to 200 people a day. They were murdered with ropes tied around their necks, smothered with plastic bags over their heads, killed with hammers, knives and traditional weapons. The bodies were then dumped in mass graves and burned,” he told investigators. How did the Kibeho slaughter appear from the vantage point of UN peacekeepers and a UN human rights monitor? The following account is drawn from testimony from Australian peacekeepers and an interview with an official who worked in Butare for the Office of the UN High Commissioner for Human Rights. The individual, who requested anonymity, was on the ground in Kibeho. Earlier in April, Rwanda announced its intention to close Kibeho. The government said it wanted to arrest the genocidaires it believed were in the camps and force remaining Hutus there to return home. Aid agencies, along with UN military personnel from Zambia and Australia already present in Rwanda, were expected to monitor the situation. The Office of the UN High Commissioner for Human Rights and the European Union dispatched a team of 25 monitors, who were already looking into killings and indiscriminate arrests of Hutus by RPA forces. On April 18, the RPA surrounded the area and started shooting in the air to force the refugees to move, causing a stampede and many deaths. The next day, the RPA fired again and burned as many refugee huts as it could. Hostilities mounted, with reports of refugees being shot dead by soldiers in the camp, and others attacked outside the camps on the road by Tutsi civilian militias armed with guns and machetes. On the morning of April 22—under the pelt of heavy rain—the army fired into a crowd of refugees in the camp’s hospital compound, causing another stampede, and continued firing on fleeing refugees for another two hours. There were reports as well, around noon that day, of gunshots coming from refugees inside the camp, directed at the military. The soldiers, who initially used rifles, then resorted to 60 mm mortars, and continued shooting at the refugees until nightfall. The Australians estimated that at least 4,000 refugees died in Kibeho. The RPA disputed the claim, estimating that 338 people died during the incident. In an interview, a UN human rights monitor said the most haunting image from Kibeho was watching refugees hurl themselves against a cutting barricade around a UN compound, in a desperate, bloody attempt to avoid RPA fire. He remembers seeing ‘corpses all over the place’ and people being lynched by mobs of genocide survivors. On some occasions he witnessed RPA soldiers saving refugees from mobs armed with farming tools. His team members saw a soldier shoot a woman with a baby on her back. In one of the more grim accounts documented, his team members saw wounded refugees lying among corpses, and soldiers burying bodies in trenches and latrine pits along the flanks of the hillside, before sealing off the area. Later, his colleagues saw a steady trail of blood along roads, presumably from bodies that had been transported in military trucks. The ex-UN official says UN military observers equipped with night vision distance goggles told him the RPA reopened the graves, unearthed the bodies, carted them off to Nyungwe forest and promptly burned them, before members of an international inquiry arrived. The inquiry concluded that there had been firing from the refugees and the RPA had suffered casualties, and ‘responded by firing into the crowd.’ The inquiry said that due to ‘logistics and time constraints’ it could not determine the number of casualties. The inquiry was ostensibly led by a senior Canadian diplomat named Bernard Dussault, but was actually overseen by a RPF lawyer named Christine Umutoni. Dussault, whom the UN rights monitor considered ‘an honest man,’ complained that the final report was the result of difficult negotiations, incomplete information, and manipulation by the RPF. ‘I got screwed,’ he remembers Dussault saying at the time. ‘You were screwed,’ the UN official commiserated. He went on to describe Rwandans as ‘hostages’ in their own country. The Kibeho massacre, as it came to be known, forever fractured Rwanda’s post-genocide government, which had included two prominent and highly respected Hutus, Prime Minister Faustin Twagiramungu and Interior Minister Seth Sendashonga. Both men became vocal critics of the government after Kibeho, demanding answers and accountability. They were eventually put under house arrest, before fleeing into exile. Twagiramungu went to Belgium, and Sendashonga and his family to Nairobi, where he remained a voice of moderate Hutu opposition until May 16, 1998, when men armed with AK-47’s shot him and his driver in a UN-marked car during rush hour traffic. His widow, Cyrie (a soft-spoken, intelligent woman who described her husband as a doting father) said the Rwandan government was behind the assassination and that before his death, Sendashonga was due to testify at the ICTR.